I love the car, Sharon! These sre very pretty murals! Very colourful mural, but conveys a message. The car is a winner, I love it. Just the way I like to see murals... colourful. I love the Barrio Cafe and I also like those bright murals in the alley. The style of these murals is recognizeable but I don’t know where it comes from. 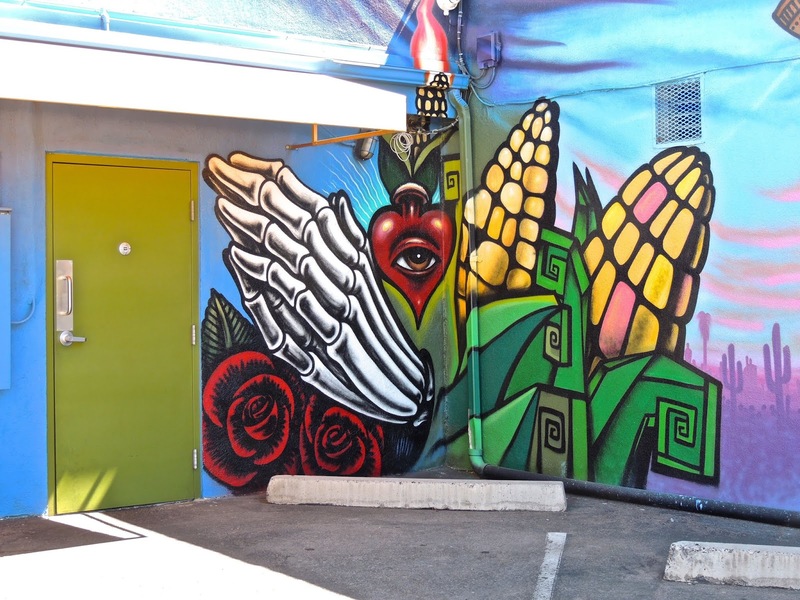 The murals I see and the ones that are posted on Sami’s blog often include some that must be influenced by the same sources. But what/who is it? 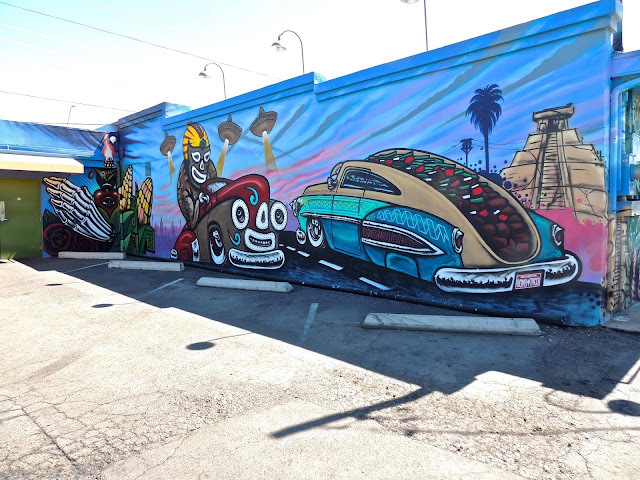 What a super-bizarre (and fun) mural. I especially like the UFOs!